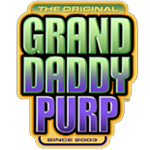 Grand Daddy Purp Collective, Inc is the provider of Grand Daddy Purple strains of medical marijuana, as well as seeds, clones, and patient information and community services . Ken Estes is an entrepreneur and philanthropist who founded K.W. Estes Mediceuticals and Grand Daddy Purp Collective, Inc. He is CEO of K.W. Estes Mediceuticals and President of Grand Daddy Purple Collective Inc, which is a non-profit providing medical marijuana to patients.